It’s that time of year again. The temperatures are cooling off, the leaves are beginning to turn, and soon for those of you up North it will be time to fire up the snowblower, dig out the rock salt, grab some extra firewood, and get ready for old man winter’s impending visit. But it doesn’t have to be that way. Instead there is a place, a warm place. A place with pristine beaches, no crowds, great events, and things to do with perfect temperatures throughout winter and we can help you get there. 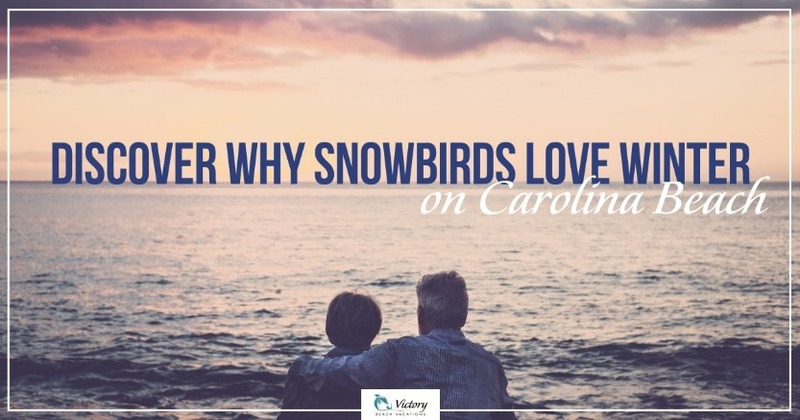 Yes, we are talking about beautiful Carolina Beach and Kure Beach on the North Carolina coast. Forget the crowds and high prices of Florida. Discover why the North Carolina coast is the perfect winter oasis you’ve been looking for. Are you wondering why we are talking about 763.3 miles closer? Well, let’s just say you’ve been traveling to Fort Myers, Florida for your winters. If you chose a Carolina Beach or Kure Beach vacation rental this winter you would be 763.3 miles closer to home. That is twelve hours less in the car, not to mention a whole lot less gas. Why be stressed out on I-95 any longer than you have to. Just head south to Pleasure Island and get to your winter vacation that much quicker. Plus, with our proximity to Raleigh, Myrtle Beach, and Wilmington you are never far from a major metropolitan area. For most pet owners the thought of leaving your favorite four-legged friend behind is unthinkable and we agree. One great advantage of a Victory Beach Rental winter vacation rental is the ability to pick from a large selection of pet-friendly properties. 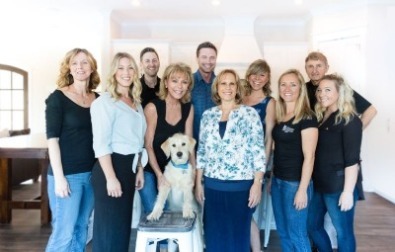 From larger homes to condos and everything in between we have you and your furry family member covered. Pleasure Island, which consists of Carolina Beach, and Kure Beach is an extremely pet-friendly place. There are loads of shops, vets, and places to take your dog for walks. Hey, what dog wants to walk in the snow when he or she can be dipping her paws in the soft sands of Pleasure Island. Check out our previous post to learn more about pets on Pleasure Island? If you would like to see all of our pet-friendly properties, click here! Snowbirds who love boating will especially enjoy spending the winter on Pleasure Island. There are miles of pristine waters to explore. From the ICW to the open water of the Atlantic and from sailing to fishing we have something for every type of boater. Want to have your boat right out the back door? We have properties with boat slips. Imagine spending your winter on the dock in the picture to the left. Want to find out more about vacation homes with boat slips? Click here. If you would like to find out more about boating and the waters around Carolina Beach and Kure Beach check out our previous post: The Ultimate Guide to the Waters of Kure and Carolina Beach. There are a lot of places to spend the winter and there are several things to consider. Consider the cost. Many areas in Florida, or other destinations you traditionally think of, are expensive and prevent many from enjoying a warm winter. 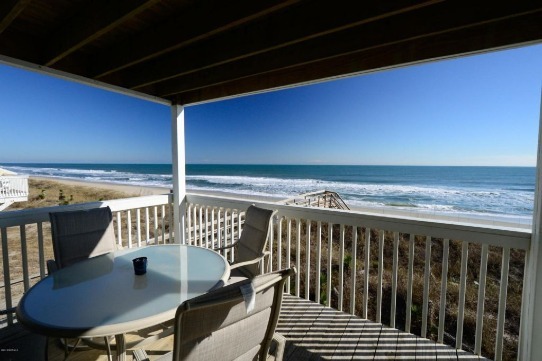 Carolina Beach and Kure Beach offer visitors lots of great options for oceanfront living during the winter and at a much more affordable prices. Victory Beach Rentals has a wide selection of oceanfront properties to choose from. Click here to see our selection of oceanfront properties. When you book with Victory Beach Vacations you’re not just booking a vacation rental for the winter. You’re establishing a relationship with our family owned and operated business. we strive every day to provide our customers with the ultimate vacation and customer service experience. Victory Vacations has years of service in the area. We have an onsite maintenance department dedicated to resolving any issues you might have quickly and professionally, Our staff of reservationists have years of local knowledge. Give us a call and let us help your family have a great winter on Pleasure Island.